To register a company in Tanzania is a right of those who wish to associate and form themselves into a company pursuant to the existing company laws. Minimum number of membership is two and maximum is fifty. The shares of these companies are not freely transmissible. The transferability is subject to strict control and regulations, as such these type of companies may not list in the stock exchange for purposes of trading in shares. These types of companies are suppose to submit for filing annual returns and any other statutory filable documents to the Registrar (e.g. Changes of particulars of directors, change of company names etc). Filling fees are also payable and penalty for late filing is also levies. Public companies are open ended, in that there is no maximum number of members, while the minimum number is also two. Any person may subscribe and buy shares in the company, which may be listed in the stock exchange. One condition for incorporating these type of companies is the issuance of a offer document which prior to its registration must be approved by the capital Markets and Securities Authority. A an offer document is in essence an invitation to the general public to subscribe for shares. A private company may be converted to a public one by merely amending its Articles of Association and issuing a prospectus. The type of companies need to have ery effective articles of association to regulate the relationships between the members themselves, members and company directors, dealers and stock brokers (in cases of listed companies) with the stock exchange. These types of companies are incorporated outside Tanzania mainland and they come in the countryas branches of such foreign companies. 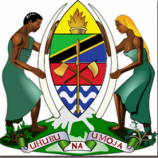 Even if all subscribers and or shareholders are nationals of the United Republic of Tanzania, the companies are regarded as foreign. They are registered under part XII of the Companies Act. Notice of situation of the registered office in the country of domicile. Person resident in the country who are the representatives of the company. Copy of most recent accounts and related reports of the company. Certificate of compliance is issued after the process. Applicants are then advised if the name is available or not after which they prepare Memorandum and Articles of Association and submit the same to the Registrar for registration process. Compliance with all requirements relating to formation of the company is declared in form no.14b which is sworn before Commissioner for oath. Particulars of directors are given through form no. 14a and notice of the situation of the registered office is also given through the same form no. 14a, where physical locations and postal address must be provided. Any changes that occur in the company should be reported to the Registrar immediately. The registrar after noting the reported change registers the same on payment of filing fees. Penalty is charged if the change in particular is not reported in time. If a company after one year fails to take off, for any reasons whatsoever, the officers thereof may notify the Registrar who issues notice to strike such company off the register off companies if no notification is made, the Registrar has reason to believe that the company is carrying on business and is therefore required to comply with all the requirement relating to existing companies. The process of company registration is done under the law and is a transparent one. If the correct procedure is followed, the process takes approximately three days and not more than five days. If after five days the process is not completed, an applicant may demand, as of right, to see any member of the management who will provide an explanation or assist the applicant to be informed of reasons for delay. The office sincerely looks forward to having cooperation from the stakeholders whose views and suggestions on the improvement of services of the registry are taken very seriously.